When your home is where everyone gathers, finding sleeping space can be challenging. But with the iBed, you'll be everyone's hero at sleep overs and when friends and family need to stay over. The iBed folds to the ultra-slim width of just five-and-a-half inches, so come morning you can stash it out of sight until the next slumber party. Create a refuge for friends and family with iBed. Set up on a soft surface such as a carpet or rug. 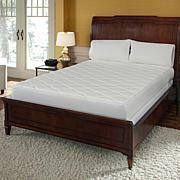 Once set up, the bed can be moved to a hard surface. Remove plastic clip and open bed wide enough to fold out legs and engage both leg locks. Place bed onto floor and push down center to flatten. 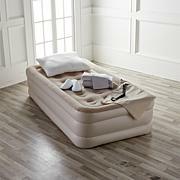 Slide out mattress from below and place on top. I love this bed.Still using it even after a year!!! 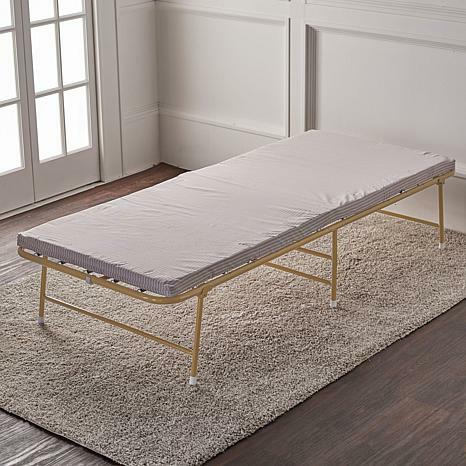 Will made,Easy to put up and down or leave it up for guests.I will never buy any other fold away bed after using this.Great price.Buy this you wont regret. Fold Away is a Keeper! 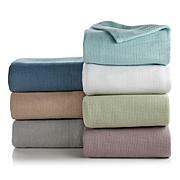 This fold away is great to keep on hand for those unexpected guests. It's simple to set-up and is sturdy. I am so happy with this bed. It is comfortable, easy to assemble, and easy to store. It is my 3 yr. old granddaughter's "big girl" bed after leaving the crib. It fits nicely under my bed. Love it !